Classic Shell • View topic - Why Microsoft is waging war on Classic Shell? Why Microsoft is waging war on Classic Shell? Post subject: Why Microsoft is waging war on Classic Shell? Post subject: Re: Why Microsoft is waging war on Classic Shell? Why do you say it is? Awhile ago they got mad that Classic Shell was including their logo with it (so that Windows 8 users could have a start button with the Windows logo). That's long passed now though. Windows 8.1 had a start button so there was no reason for Classic Shell to include one anyway. I haven't heard of anything since then. He's probably asking about how Windows 10 Anniversary Update rudely uninstalls Classic Shell and leaves its in a broken state with a message in the Action Center. The average user has no idea how to fix it. Ouch. Yeah, Windows 10 likes uninstalling programs that are "out of date" or "security risks." AKA programs MS doesn't like. That's another reason not to have Windows 10. I hope Microsoft stops going down this route. No idea what I'll do once support for Windows 7 ends. 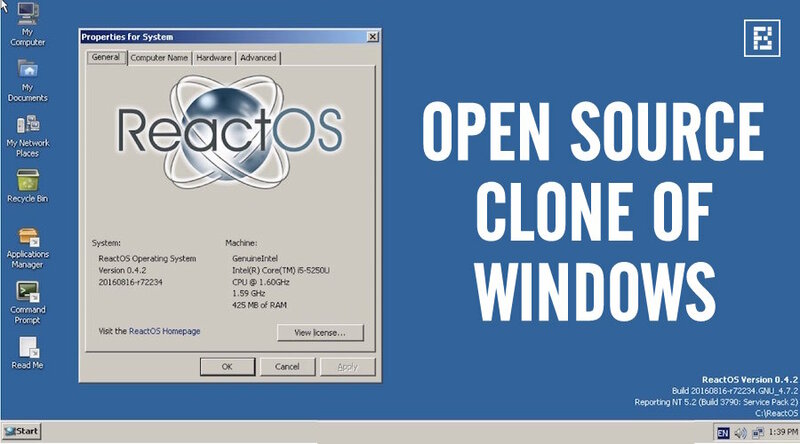 And now...the wait for ReactOS to become viable begins ._. I don't know, honest. When 7 support ends, screw it. I'm going to Mac. It is kinda unstable. That having been said, I'd still take it over 10. If Extended Support is for businesses only, then why did all the consumers wait until April 8th, 2014 before they started crying and making R.I.P. Windows XP videos? Incident support which includes no charge, paid and warranty claims. Extended Hotfix Support is not available for consumer desktop OS’s. Extended support means no new feature updates. Nobody here cares though, because that means making it more like Windows 10. Well in any case, I haven't used Windows update since before Windows 10 first came out and I will likely never do so again, so perhaps it'd be better to wait until either ReactOS is viable or Windows 8.1 isn't, whichever comes first. I never said anything about timebombs. But software developers will only support Windows 7 and 8.1 for so long. That is a point. But the only thing you have to really worry about dropped support for is web browsers. Like, who cares if you can't get the newest version of Office or something? The older version works just fine. I don't use many programs that are the absolute newest version. Someone just needs to make a program that routes your internet connection through a Linux VM that has a new web browser. I'd be set for life with that. I need stuff that doesn't run on XP, k? and all of that stuff has versions that run on windows 8 even in 10 years.. even if the new versions of that software doesn't, the old ones still will. Yes, I know. But what happens when my current computer dies and I can't get the old versions? They've been clear that they're going to finish recreating NT 5.1, then move to NT 6.x, so while that may be true of ReactOS in its current form, it won't be forever. I'm not going to argue you should use Windows XP, nor do I doubt you use programs that don't work on XP. However, these programs aren't a good example of that. Classic Shell: Not needed because you have a classic start menu already. Windows 8.1 Visual Styles: There are a whoooole lot more Windows XP visual styles. WindowsBlinds 8: Ditto. Plus, WindowsBlinds for XP integrates with Windows' theme management! DWM: You need this? There are many free programs for XP that give transparency and Aero snap. And most of them do it using less resources than Aero. Paint.net obviously matters to you. I wouldn't have figured it could change that much in three years. I don't see that many features added. That's what I was saying where it's hard to see the Newest! and Best! being that much better. ¯\_(ツ)_/¯ (that's why subscription services are so popular with developers these days: There's no reason to upgrade otherwise). Go to oldversion.com. Or Google for older versions. And make backups of course. I use the Windows 7 style, plus Classic Shell's skinning flexibility is unmatched. No native Visual Style or WindowBlinds theme can beat it, and neither can other Menu Replacements, AFAIK (Except ViStart, but ViStart is terrible in every other aspect, so that's not really a solution). I was talking about making them. XP's theme market is already oversaturated, while 8.1 is kinda desperate. Mind you, that could be a moot point eventually, but for now, it remains. Ditto for the problem with WindowBlinds as well. Plus there are no versions of WindowBlinds left which work on XP and haven't expired. DWMAPI, Visual Style integration, Aero peek, taskbar thumbnails, Windows Flip with thumbnails. 4.x changed and improved the keyboard shortcuts. That's really the biggest issue. ...now can somebody remind me why we're arguing about this please? Yes. But one good news is that Win10 does not change the Win32 APIs significantly because MS wants to deprecate it. This means, all future classical apps will be basically compatible with Win8.1 and Win7. I need it. I hate tearing. Honestly there was a way to get rid of tearing under XP that I used. One needs an old Nvidia hardware and the old driver and D-Sub connection with monitor. Then there was a checkbox in dialog. But I now have AMD and my monitor has too big resolution for D-SUB.